In our article, published by CBE in July (“Five Signs Your Cannabis Customer Needs to be Placed With A Collection Agency”), we mentioned that many companies servicing the cannabis market are now extending what we call “friendship credit” – in other words, allowing customers whom they know well, and have been dealing with on a cash basis, for a period of time, to pay them “next week”. Many times, due to the nature of your relationship and past dealings with a customer, you think you have very little risk associated with letting them pay you next week. Earlier this year, in an effort to connect with the owners of cannabis related businesses, I was put in touch with a medium-sized grower in Colorado. We had a great conversation about the industry, about the future of credit, and about how he currently is getting paid by his customers. He told me that he had more than 150 active accounts, and that he was providing credit to about 30 percent of them, extending 3-14 day terms as well as taking checks for COD orders (which is also a form of credit). When I asked him how he made the decision to extend credit to these customers or accept a check from them, he gave me an overview of the relationship nature of the cannabis industry in Colorado. He said that he only allows this to happen when he feels very comfortable with the customer and has already had numerous COD transactions with them. He also told me that he has never had a customer not pay him in the three years he has been in business, and that while the topic of credit and collections made sense to him, he does not have delinquency issues and didn’t need help. This grower had done a few transactions with a broker who was purchasing and then delivering flower to a dispensary. After having done business with the broker for a while, the grower decided to extend “friendship credit” and allow them to pick up $10,000 in flower and deliver it to the dispensary, and then deliver the cash the next day. Well, the next day came and went, and the broker never showed up with the cash. Then another day came and the next week came and then two weeks passed and still no word from the broker. This is what triggered him to give me a call and let me know he had his first problem. To date, because we had no valid information to work with about the broker, and skip tracing did not produce any concreate contact information, we have not only not been able to collect, we cannot even file a lawsuit against the broker because we have no accurate current contact or address information. Therefore, serving a summons is impossible. The reason I am sharing this story is because I am hearing about situations like this over and over again from cannabis-related companies – companies who told me they never had an issue with payments from a customer that was on COD and transitioned to “friendship credit” and now, all of a sudden, they are having problems getting paid. Does this sound familiar to you, and is it happening to your cannabis-related business? If this has been happening more and more with your customers, then you need to put procedures in place to help you minimize your risk. The most important thing for a cannabis related business to do when they start doing business with a new customer is to have them fill out a credit application, even if they are on COD. Why? The answer is simple – a credit application is a contract between seller and buyer. A good credit application will benefit the seller; a bad one will benefit the buyer. Therefore, it is important to be certain the credit application contains all the safeguards and guarantees available to reduce customer credit risk. This document serves two purposes: (1) it is a data-gathering tool, and (2) it is a contract, and as a contract it specifies the rights and obligations of both the buyer and the seller. The credit application should be written in such a way that it provides the creditor an advantage if the business relationship with the customer falters and the creditor needs to use a collection agency to help them get their money back. Securing a credit application does not guarantee payment, but it is one of the more significant documents to assist in making good credit decisions and ultimately collecting past-due accounts receivable and associated collection fees. A good credit application will assist you in getting money into the bank. 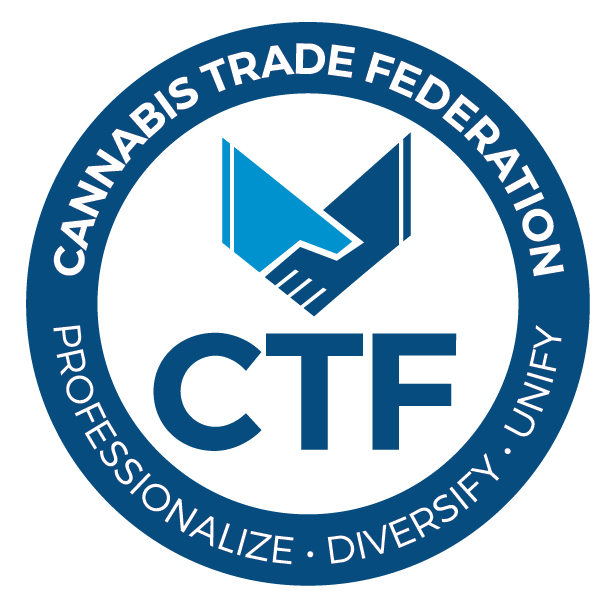 Trade credit is coming to the cannabis market, and if you are going to start extending credit to your customers and want to avoid having collection problems, stop extending “friendship credit” and have your customer fill out a credit application that affords you as much protection as possible.